We are now offering you the ability to tour our premium quality trailers from the comfort of our home. 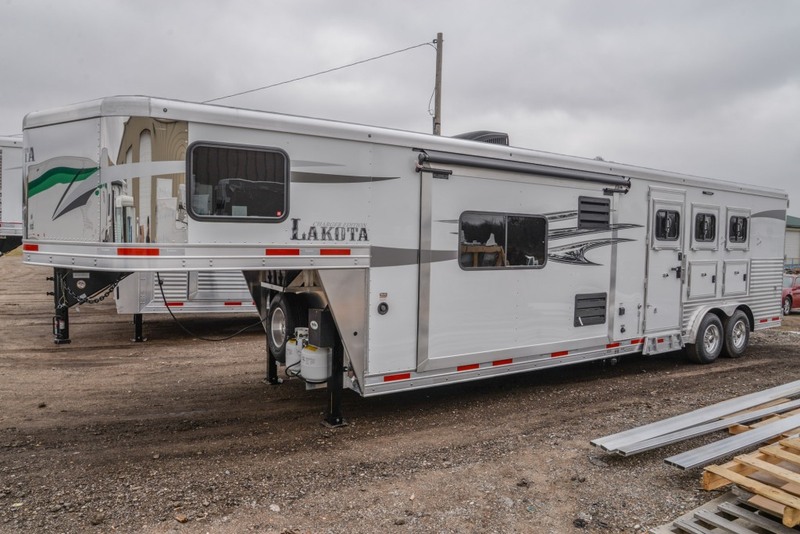 Check out the 2018 LAKOTA BIG HORN 8314CE SLIDE HORSE TRAILER below. We are always expanding and adding to our fantastic lineup of products and services. In addition to the premium vehicle and trailer maintenance we provide, we offer Horse, Livestock, Cargo & Motorsport trailers from SMC, Lakota, Exiss, Sooner, Lightning, Bravo, Haulmark, and Holmes Trailers to all our East Coast customers. We are centrally located in Pennsylania allowing us to service customers from Maine to New York and Maryland to Florida. Come see us for a great deal and superior service. From the competitor to the trail rider, Lakota Horse Trailers successfully meets customers’ trailer needs. Founded in 2005, Lakota Horse Trailers swiftly gained customer trust by providing quality products and outstanding customer service. Today Lakota Horse Trailers push the envelope of innovation in new products and standing firmly in our belief of customer satisfaction. Moritz Horse Trailers offers High Quality Steel and Aluminum Trailers and Truck Beds. Stop into Wasko’s or call 610-262-9100 for more information. Wasko’s is dedicated to customer satisfaction. Whether you are in need of repairs & maintenance, a horse trailer or a trailer for cargo or livestock, Wasko’s strives to exceed every customer’s expectation. From quality products to our knowledgeable and courteous staff, Wasko’s is the “The Right Choice”. Thank you for visiting our web site. We look forward to seeing you! Are you looking for an Exiss, Sooner & Lakota Horse Trailers, maybe a Haulmark, or Holmes Trailer. Whatever your need, we are here to help you find your perfect trailer.